The American South and Gulf Coast region includes states like Arkansas, Alabama, Tennessee, and Mississippi. Several counties in these states, along with some contained in Florida and Louisiana, are covered by the Gulf Coast High Intensity Drug Trafficking Area (GC HIDTA). The six states in the GC HIDTA commonly rank high for crime, violence, low levels of education, and poverty, all of which can contribute to drug abuse, mental health concerns, and addiction. The close proximity to the southern border also opens up the region to easy access for drug trafficking organizations (DTOs) that can then move large quantities of drugs through the area and impact local crime rates. According to the GC HIDTA, methamphetamine continues to be the biggest drug threat in the region, and it remains the number one drug of concern in Arkansas. Heroin abuse is rising all across the United States, and it is the second most commonly cited drug of concern in the region with hotspots of abuse in cities like Birmingham and Memphis. Coming in third for drugs of concern in this part of the South is cocaine with pharmaceutical drugs following. Synthetic marijuana, or “Spice,” is a drug of concern, particularly among adolescents. Marijuana is also a popular drug of abuse in the American South. Drug abuse and addiction treatment in the United States is typically managed at the local level. This means that each state and each county may have various options for care. Treatment programs are regulated by federal, state, and local agencies, depending on where a person lives. Both public and private treatment programs are available. Public programs are open to all residents of an area, and care is generally prioritized to those with the greatest financial and medical need. Private programs may be more readily accessible and have added amenities and treatment options. To find local mental health or addiction treatment services anywhere in the United States, individuals can use the Substance Abuse and Mental Health Service’s Behavioral Health Treatment Services Locator, which details qualified treatment programs based on care requested and location. The tool is web-based, free, and confidential for anyone seeking treatment information and resources. Additionally, to find addiction treatment information in a certain area it is helpful to check with specific state and/or local health departments. Nonprofit agencies and community-based health providers can be solid local resources for addiction prevention, treatment, and recovery. In Mississippi, rates of drug abuse and addiction are similar to national averages, according to the Behavioral Health Barometer: Mississippi, 2015; however, the percentage of people who got help for drug abuse and addiction was lower than the national average. Approximately 5.8 percent of Mississippi residents abused or were dependent on alcohol per year in 2013 and 2014 compared to a national average of 6.5 percent. In 2013 and 2014, 2.7 percent of Mississippi residents abused or were dependent on illicit drugs versus a national average of 2.6 percent per year. Only 4.6 percent of Mississippians struggling with alcohol abuse or dependence per year from 2010 to 2014 received treatment within the year of the survey as opposed to a national average of 7.3 percent. Similarly, for drug abuse and dependence, only 7.5 percent of Mississippi residents who needed it got professional help, which is about half of the national average of 14.1 percent per year from 2010 through 2014. Of those surveyed between 2013 and 2014, about four out of 10 Mississippi teens between the ages of 12 and 17 saw no great risk for smoking a pack or more of cigarettes a day, which was higher than the national average. As a result, a higher percentage of Mississippi adolescents used cigarettes than the national average; approximately 6.8 percent of Mississippi teenagers smoked per year for the years 2013 and 2014 compared to a national average of 5.2 percent. Drug trafficking and smuggling operations in Mississippi are a great cause for concern. One of the largest meth busts in the United States was made during a routine traffic stop by Mississippi police in the summer of 2017, Fox News reports. Mississippi also ranks number five in the United States for number of opioid pain reliever prescriptions per capita, dispensing enough for each resident to have about 70 pills in 2016, the Office of the Attorney General State of Mississippi reports. Between 2013 and 2016, there were 563 overdose deaths in Mississippi, and approximately 481 of these deaths involved an opioid drug. Mississippi launched the Stand Up, Mississippi campaign as part of the Mississippi State Targeted Opioid Prescription Project through a federal grant in order to focus on the opioid epidemic and prevention efforts through public education on the dangers of these drugs. 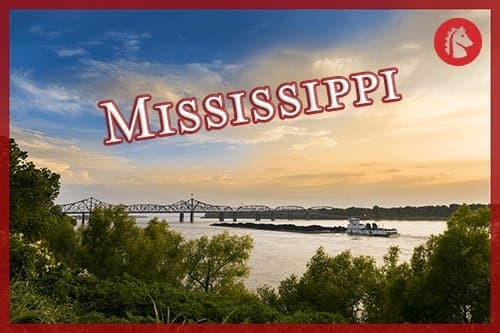 The Mississippi Prescription Monitoring Program (MS PMP) helps to keep track of controlled prescription drugs like opioid narcotics and prescribing patterns to minimize the potential for abuse, diversion, and addiction involving these substances. Efforts are also underway to expand access to treatment for Mississippi residents. The Clarion Ledger publishes that there are currently 501 treatment beds for inpatient addiction treatment in the state. Treatment for addiction in Mississippi is managed through the Mississippi Department of Mental Health (DMH) Bureau of Alcohol and Drug Services (BADS). Care is provided through local Community Mental Health Centers (CMHCs) and DMH Certified Providers. Public DMH-certified providers offering residential care provide treatment based on a sliding scale to ensure that residents can afford care. There are 14 regions with local CMHCs within the state of Mississippi overseeing local behavioral healthcare programs and treatment options for residents. The Bureau of Alcohol & Drug Resource Directory provides current information on providers licensed to provide care in the state. The Mississippi DMH Helpline is available at any time of day or night to offer information and resources to residents regarding drug abuse and addiction. Local nonprofit agencies and community-based providers also offer prevention, treatment, and recovery resources for Mississippi residents. Agencies such as DREAM of Hattiesburg, the National Council on Alcoholism and Drug Dependence of the Central Mississippi Area (NCADD MS), and the Mississippi Assembly of Alcoholics Anonymous (AA) all provide local behavioral health resources for residents in Mississippi. The Alabama Department of Mental Health (ADMH) Division of Mental Health & Substance Abuse Services develops models, evaluates, certifies, and oversees local providers that it contracts with to provide a full continuum of preventative, treatment, and recovery services for residents struggling with mental health or substance abuse concerns within the state. To find a local provider, the ADMH hosts a Substance Abuse Provider Directory that lists options broken down by specific county, type and level of services provided, and how they are funded. Public programs are funded through state or federal grants and monies, and they often accept state assistance and Medicaid. They often also accept residents without health insurance who may have financial difficulties. Private addiction treatment programs often accept health insurance and offer payment plans, loan opportunities, and other financial options for payment. 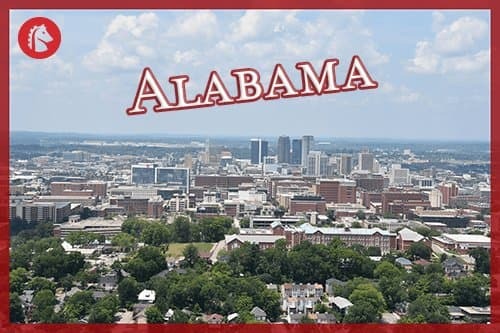 A nonprofit organization, the Alabama Alcohol and Drug Abuse Association (AADAA) offers certification and education opportunities for treatment professionals in the state. Treatment for addiction is offered through community-based providers, depending on where a person lives in Alabama. The National Institute on Drug Abuse (NIDA) publishes that Alabama had the highest rate of opioid prescriptions dispensed per capita in the United States in 2013, with 141.1 opioid prescriptions written per every 100 residents, which was nearly double the national average rate of 79.3 per 100 people. The number of opioid prescriptions has come down since then, as Alabama reported over a 15 percent drop between 2013 and 2015. In 2016, nearly 350 Alabamans died from an opioid overdose. When taken per capita, this was about half of the national rate (7.5 deaths per 100,000 population versus 13.3 deaths per 100,000 population respectively). Efforts to educate the public and healthcare providers on the dangers and addictive potential of opioid drugs as well as drug abuse preventative measures and treatment options are part of the focus of the Alabama Opioid Overdose and Addiction Council formed by Governor Kay Ivey. The council reports that there are more than 30,000 residents in Alabama over the age of 17 who struggle with opioid addiction. 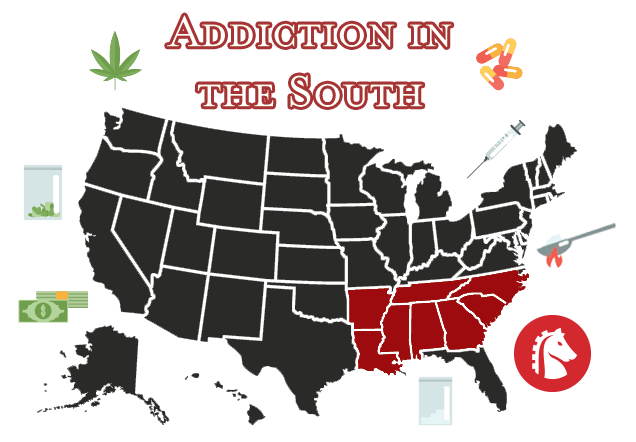 The Addiction Prevention Coalition is a local nonprofit that provides preventative efforts to residents in Central Alabama while the Partnership for a Drug-Free Community serves North Alabama, Huntsville, Madison County, and Madison, Alabama. Sponsored by the Alabama District Attorney’s Association, Zero Meth is a statewide preventative campaign focused on abuse of methamphetamine in the region. Many of the opioid overdose deaths in Alabama involve the powerful and potent synthetic opioid fentanyl. The Montgomery Advertiser publishes that part of the report issued by the council recommends stricter laws governing fentanyl trafficking as well as improving the Alabama Prescription Drug Monitoring Program (PDMP). The Alabama PDMP aims to keep track of the prescription of controlled substances such as opioid painkillers. Fentanyl is also often added to heroin, which the Alabama Epidemiological Profile reports as the number one drug for which residents sought treatment for in Alabama in 2016; meth came in second. In Madison County, Alabama fentanyl is considered the number one drug threat based on 2016 surveys. Marijuana and cocaine also constitute major drugs of concern in Alabama. Even though many counties are considered “dry” in the state, alcohol is still the number one drug of abuse. Overall the Behavioral Health Barometer: Alabama, 2015 publishes that drug and alcohol abuse and dependence rates mirror the rest of the country and are close to national average rates. Meth has been identified as the number one drug threat in Arkansas. As KATV Little Rock publishes, production and distribution of the dangerous illegal amphetamine drug are becoming more and more problematic in the state. Other drug threats in Arkansas include marijuana, cocaine, designer and synthetic drugs, heroin, fentanyl, and prescription drug abuse. The US Department of Health and Human Services (HHS) publishes that the number of residents in Arkansas who drank alcohol before the age of 13 was higher than national averages at 21 percent versus 17 percent respectively in 2015. Approximately 10 percent of high school students abused inhalants (e.g., paint fumes, glue, aerosol spray cans, etc.) in Arkansas, which was higher than the national average of 7 percent. More high school students in Arkansas abused cocaine (8 percent compared to a national average of 5 percent) and misused prescription painkillers as well (6 percent versus a national average of 5 percent). The 2015 Arkansas Epidemiological State Profile of Substance Abuse finds that fewer adult Arkansas residents drank alcohol regularly at 39.8 percent than national averages of 54.4 percent indicate; however, more residents smoked daily at 19.5 percent compared to a national rate of 13.4 percent. High school seniors also abused methamphetamine and heroin at rates greater than national averages suggest. The Behavioral Health Barometer: Arkansas, 2015 indicates that more adults in Arkansas struggle with serious mental illness (SMI) than around the country, as 5.2 percent of the adult population in Arkansas battled SMI each year in 2013 and 2014 compared to a national average of 4.2 percent. In 2013, the Epidemiological Profile reports that there were around 11,000 people admitted into alcohol and drug abuse and addiction treatment programs that were supported by the state. The Division of Behavioral Health Services (DBHS) under the Arkansas Department of Human Services (DHS) manages and oversees mental health and addiction prevention, treatment, and recovery services in Arkansas. There are two state-run behavioral health institutions: the Arkansas Health Center located in Benton and the Arkansas State Hospital in Little Rock. Local treatment options are provided both through funded (public) programs and non-funded (private) treatment providers that are community-based, depending on where a person lives. DBHS hosts a comprehensive list of Licensed Substance Abuse Treatment Providers by county, funding, and type of services offered. Prevention efforts in Arkansas include campaigns like the first of its kind Prescription for Life, a digital drug abuse education prevention program aimed at high school students. This is important, as an estimated 40 percent of adolescents in Arkansas admitted to misusing prescription drugs at least once. The attorney general’s office also works closely with local law enforcement agencies to sponsor a mobile office in each of the state’s 75 counties that will collect unwanted and unused medications as part of the Monitor, Secure, and Dispose program. The Arkansas Prescription Monitoring Program is another resource designed to limit prescription drug diversion and abuse. 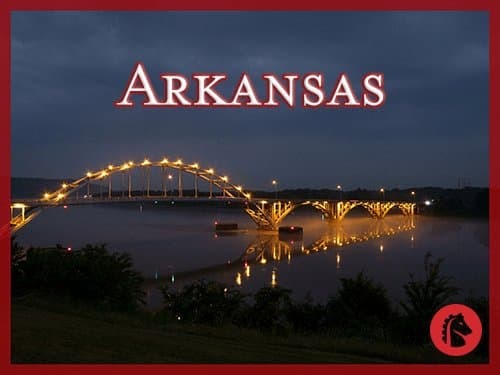 Arkansas Tobacco Quitline: This group provides referrals, resources, and information through a 24/7 confidential phone line connecting residents directly with counselors. Stamp Out Smoking (SOS): This group fosters a tobacco-free Arkansas. Think Free: The Northwest Arkansas Tobacco-Free Coalition (NATFC) serves residents of Washington County and Benton County, providing resources regarding tobacco education, prevention, and treatment, helping residents to quit using tobacco products. White County Invested in Substance Abuse Eradication (WISE) Coalition: This organization strives to reduce youth alcohol and drug abuse for a healthier community. Tremendous Opportunities for Union County Health (TOUCH) Coalition: Based in El Dorado, Arkansas, this group works to support a drug-free community. Crystal Meth Anonymous (CMA): Several 12-Step peer-based groups meet throughout Arkansas, providing fellowship and sobriety support in recovery. For the fiscal year (FY) 2016, the Tennessee Department of Mental Health & Substance Abuse Services (TDMHSAS) reports that over 350,000 residents were served through publicly funded behavioral health services offered by more than 1,000 licensed providers. Addiction and mental health treatment services in Tennessee are provided, overseen, and licensed by TDMHSAS. For local treatment options, residents can use the TDMHSAS Helpline as a resource to find care. Licensed providers are also listed in the TDMHSAS Licensed Provider Database, and public services can be found by accessing the Substance Abuse Treatment Provider Directory. 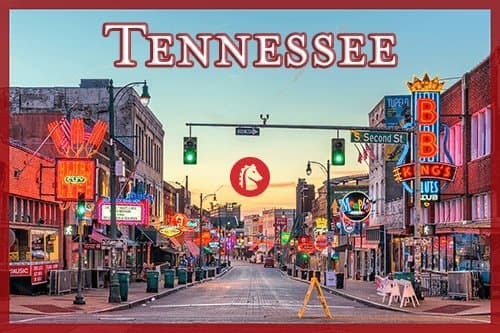 The Tennessee Association of Alcohol, Drug, & Other Addiction Services (TAADAS) hosts the Tennessee REDLINE, which is a toll-free and confidential referral and information hotline that provides current information on treatment resources. A hotline designed to provide crisis support for all residents at any time of day or night, the Mental Health Crisis Services is a local resource as well. There are many forms of crisis services in Tennessee to support residents with immediate concerns, including the TN Statewide Crisis Phone Line. There are additional mental health crisis services located throughout the state, including walk-in centers and mobile crisis teams. Prevention efforts in Tennessee work to minimize drug abuse, educate the public on the dangers of drugs, and raise awareness regarding suicide and mental health concerns. A campaign targeting employees aims to identify problematic behaviors in coworkers; the Be the One Suicide Prevention Campaign is a statewide effort. Supporting suicide survivors and families as well as helping to minimize the risk while raising awareness, the Tennessee Suicide Prevention Network (TSPN) is a collaborative effort between local public and private mental healthcare providers. The Prevention Alliance of Tennessee (PAT) and the Memphis Area Prevention Coalition (MAPC) are nonprofit organizations that also encourage healthy choices and communities. For a full listing of prevention providers in Tennessee, residents can access the Prevention Services Provider Directory. Adult residents in Tennessee who battle addiction and meet certain eligibility requirements may be able to qualify for public recovery support services, including an individual assessment and treatment plan. For more information on public recovery offerings in Tennessee, the Addictions Recovery Program Provider List can be helpful. There are also 45 peer support centers in Tennessee benefiting individuals who struggle with mental illness and/or substance abuse and aiding residents in recovery. An estimated 1 percent of the workforce in Tennessee is out of work due to substance abuse related issues. The Tennessean reports that alcohol and drug abuse costs the state around $2 billion, nearly half of which is directly related to lost workplace production. More than 1,600 Tennessee residents died from a drug overdose in 2016, per the Tennessean, which is an increase of more than 10 percent from the previous year. Overdose death rates are being driven up by opioid drug abuse, particularly drugs like prescription painkillers, heroin, and fentanyl. NIDA reports that the opioid-related overdose death rate of 18.1 per 100,000 people in Tennessee for 2016 is higher than the national average of 13.3 deaths per 100,000 population. The Tennessee Department of Health (TDH) has many programs and efforts underway to minimize prescription and opioid drug abuse in an attempt to reduce overdose fatalities. Programs include the Controlled Substance Monitoring Database (CSMD) Program and Prescription Drug Take-Back locations throughout the state to control misuse and diversion of these substances. In answer to the opioid epidemic in the state, the TN Together Initiative has partnered with the Tennessee Department of Corrections (TDOC) to increase the capacity of prison addiction treatment by 50 percent. A repurposed section of the West Tennessee State Penitentiary (WTSP) adds 500 beds for an intensive program that lasts 9-12 months as part of the initiative. Also included are several other intensive residential, outpatient, day reporting centers, and community supervised programs for offenders struggling with substance abuse concerns as well as long-term aftercare services that are to be provided through every TDOC facility in Tennessee. TN Together is a multi-agency collaborative effort designed to bring down the number of opioid overdose deaths through prevention, treatment, and law enforcement avenues, as currently three Tennesseans die every day from an overdose involving an opioid drug.